Here at GeekTech, we're rather fond of all things Lego--something you may already have realized. And as cool as the average Lego replica may be, there's something even cooler about a Lego submarine that can actually, you know, swim in water. Yes, you read right. 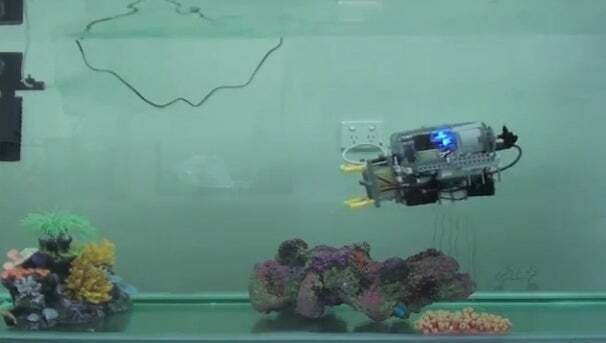 Lego builder "Brane" actually came up with a Lego submarine that is not only capable of navigating through a fish tank, but can also be remotely controlled using an Xbox controller. Granted, it can only go for underwater for twenty minutes or so at a time, but that should hardly be reason to nullify its awesomeness. The Lego submarine was apparently devised as a final year engineering project. According to Dexter Industries, the developer used a pair of nxtBEE communication modules and a pair of 900mhx Xbee Pros (these were used to achieve real-time communications) to make the project a reality. With stuff like this circulating the Internet, it makes a girl wonder: Have we sufficiently plumbed the depths of what Lego can do, or have we just begun getting our feet wet? Cassandra Khaw is an entry-level audiophile, a street dancer, a person who writes about video games for a living, and someone who spends too much time on Twitter.